This year’s Stephen Hill Youth pantomime is Peter Pan. It runs from Wednesday 26 February to Saturday 1 March. Tickets, at £4/3 are available from Bob Hodges on 0114 230 3207. More information is on the flyer below. 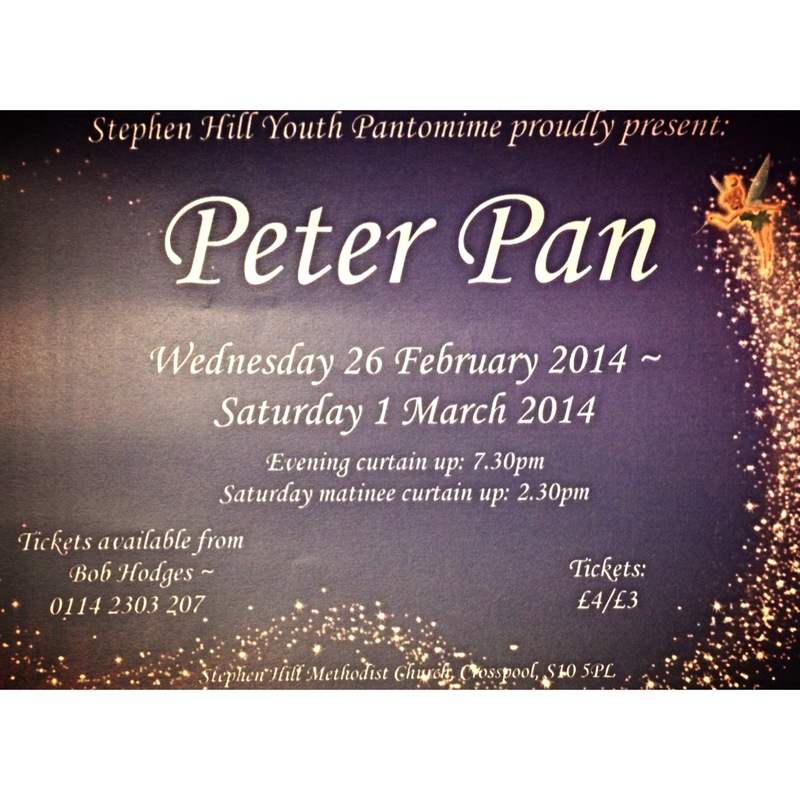 This entry was posted in arts, churches, events, news and tagged peter pan, stephen hill church, tickets, youth pantomime. Bookmark the permalink.